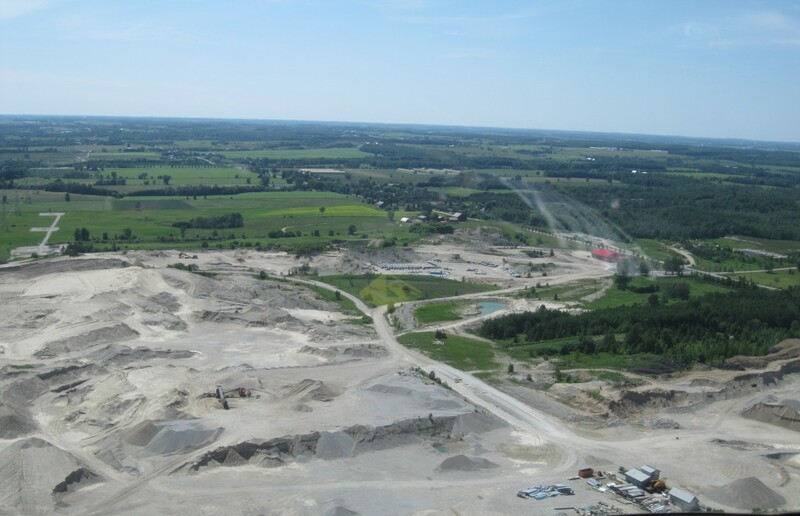 Cedarwell Excavating Ltd. has become a major supplier of aggregate in the Grey and Bruce area. We supply to the construction industry as well as directly to private individuals. 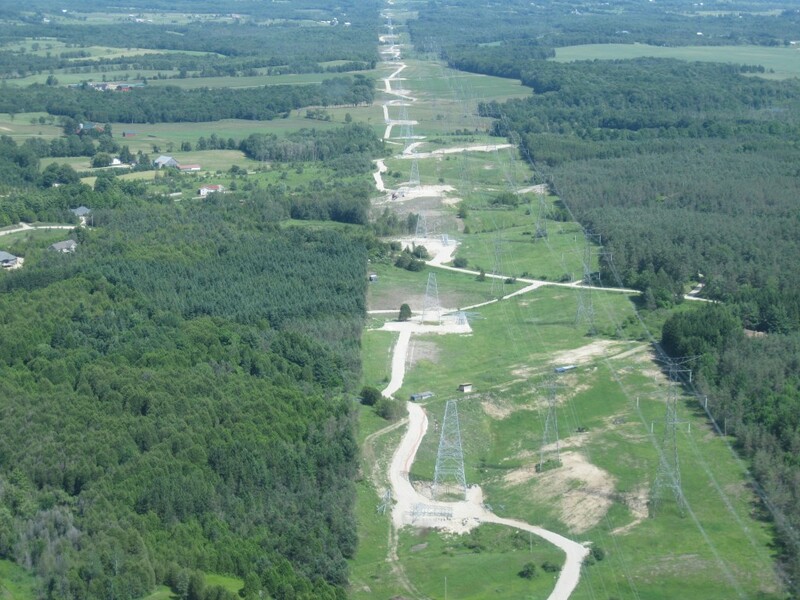 Cedarwell supplied and delivered aggregate for over 100 kms of roads to complete the Bruce to Milton hydro line. With our extensive fleet of trucks, we have the ability to deliver for that large project and the flexibility to supply that single load for that small do it yourself project. 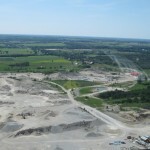 Cedarwell offers a vast line of quality aggregate products. 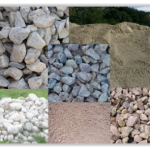 Concrete Stone, Roofing Stone, Septic Sand, Drainage Stone, Granular A and B, Pea Stone, Stone Dust, Topsoil, and Recycled Asphalt are just some of our products, many of which are tested to ensure we meet OPSS guidelines. If you're looking to estimate how much aggregate you will need for your project, we have included a formula below to do that. 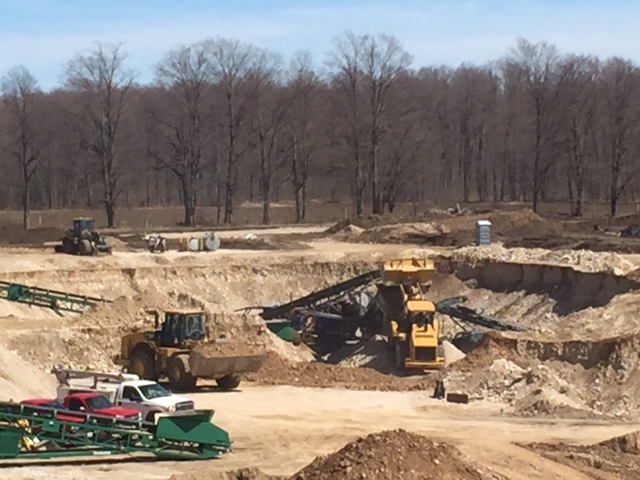 For a complete listing of products available, please call our office at 519-364-0023, and we can help you determine the product that will best suit your needs.For pit locations, please click here. To calculate how much gravel is needed, measure the width and length of the area in feet, and determine the depth desired. Multiply the length times the width times the depth for the number of cubic feet, then divide that number by 27 to determine the cubic yards required. 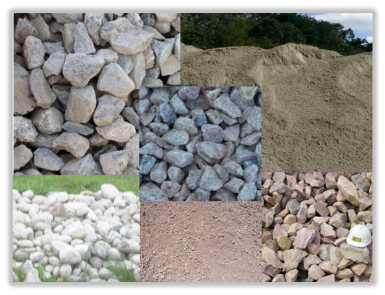 The measure of volume used for gravel is a cubic yard. To determine depth, usually measured in inches, use a fraction of one foot in the calculation. 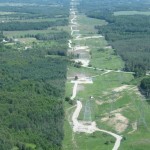 As an example: if the area is 36 feet long, 9 feet wide and 3 inches deep, use .25 (1/4 of 1 foot) for the depth. The formula is 36 x 9 x .25 = 81 cubic feet of gravel. 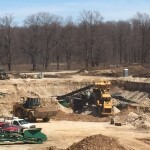 To determine how many cubic yards are needed for the job, divide 81 by 27, which is the number of cubic feet in a yard, to arrive at 3 cubic yards for the project. **Please keep in mind this is only for estimating, this does not take into consideration compaction of the product. For a complete listing of products available, please call our office at 519-364-0023, and we can help you determine the product that will best suit your needs.